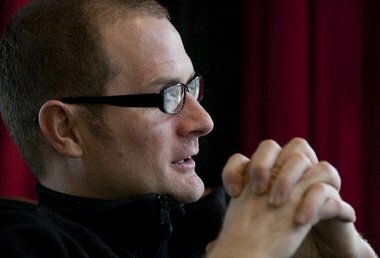 In Rob Bell Says “All-ee In Free…Almost” here at Apprising Ministries we showed you that Rob Bell preaches a universal atonement where everyone is already forgiven. Sounds like John Lennon to me. Sounds like Oprah to me. Doesn’t sound like the Bible to me… His message was simple: Don’t feel bad about yourself and all your shame and guilt because you have peace with God. This message was offered to all without the mention of repentance, trusting Jesus as the sacrifice for our sins and satisfying God’s wrath. “[Jesus is] essentially saying the system is corrupt,” Bell said. “There’s a new thing happening.” The new thing culminated in his Crucifixion, in which Jesus did away with the old sacrifices and God reconciled himself to humanity, Bell said. A lovely story for sure; but, it is absolutely not Biblical theology. While Christ Jesus did make the way to peace with God, this salvation from the coming wrath of God is only to be found by those who have been born again by God’s grace alone; through faith alone, in Christ alone. So Rob Bell is left with an irreconcilable problem: If all men already have peace with God, then according to the above from Holy Scripture all men would have to have the Spirit of God already dwelling within them. And if this is true, then all men are already saved; and so, Rob Bell would have to be preaching a type of “opt out” universalism ala another emerging church leader Spencer Burke.